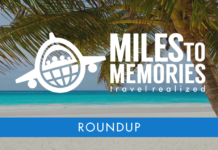 Flying Like A Billionaire, Gaming A Hawaii Stay, Choosing Delta Over United & More! This comes at a steep price but it looks like an amazing experience. It would make sense for people who need privacy or need to be able to be productive at all times. Flying people in and out for meetings is pretty genius as well. For us regular folk we need to bask in the glory of Minute Suites :). This is something I need to figure out for my wife’s Chase World of Hyatt Visa in the next few months so it was a very timely article for me. I wish the upgrade offer was better so I wouldn’t even have to think about it though. Even though Delta’s rewards program gets a bad wrap, maybe not entirely accurate anymore, I do think they are the best run domestic airline. One thing I am grateful for is that I live near a larger airport with many options. People living close to smaller, regional airports often don’t have a choice of who they fly. I do love stacking deals, offers, and credit card perks to get travel as deeply discounted as possible. Next article15% Off iTunes & App Store Gift Cards on eBay – Won’t Last!